Since 2010, a significant quantity of international climate change finance has begun to reach developing countries. However, the transfer of finance under the international climate change regime – the legal and ethical obligations that underpin it, the constraints on its use, its intended outcomes, and its successes, failures, and future potential – constitutes a poorly understood topic. Climate Change Finance and International Law fills this gap in the legal scholarship. The book analyses the legal obligations of developed countries to financially support qualifying developing countries to pursue globally significant mitigation and adaptation outcomes, as well as the obligations of the latter under the international regime of financial support. 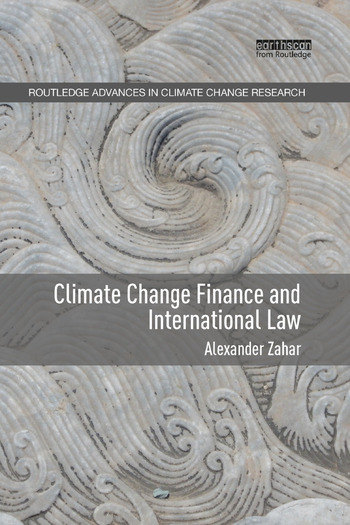 Through case studies of climate finance mechanisms and a multitude of other sources, this book delivers a rich legal and empirical understanding of the implementation of states’ climate finance obligations to date. The book will be of interest to scholars and students of international law and policy, international relations, and the maturing field of climate change law. Alexander Zahar is Professor of Law at the Research Institute of Environmental Law, Wuhan University, China. He is the Editor-in-Chief of the journal Climate Law (Brill).